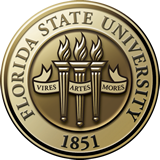 What is FSU Research and Creative Activity? Analyzing the long-term effects of the 2010 Deepwater Horizon oil spill. Understanding how people make decisions. Exploring new filmmaking techniques. Pushing the boundaries of alternative energy. Producing new and inspiring creative works of art. These are just a small sampling of the different types of research and creative activities taking place at FSU on a daily basis. Research and creative activity is about discovery. It’s about having an idea and finding the right environment in which to explore that idea. At FSU, we take great pride in our ability to provide supportive environments for the exploration of all types of ideas; and with approximately $200 million in research expenditures each year, and more than 50 prominent research centers and institutes calling our campuses home, FSU continues to be one of the top idea-incubators in the nation. The approximate amount of funding FSU research received last year from federal, state and other funding sources. These funds are used by student and faculty researchers to gain new knowledge and pursue new discoveries in a multitude of areas. The ultimate goal of their research? To save lives, improve society and help drive human advancement. 3/1/19 Tyrannosaurus Rex: The Once and Future King?